Midway today announced that it has shipped NARC, its controversial third-person action title, to retailers. 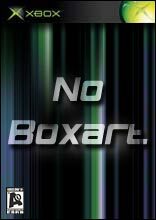 The game will be available to the public tomorrow for the Xbox and PlayStation 2. NARC was developed by Irvine, California-based Point of View, whose previous work includes MLB SlugFest: Loaded and Spawn: Armageddon. NARC is a remake of the 1988 arcade classic of the same name, which received the attention of moral watchdogs because of its drug themes and excessive violence. In the remake, gamers will play as two narcotics officers, the polished and respected Marcus Hill and his antithesis, Jack Forzenski, who was just released from drug rehabilitation and is out on probation. It'll be up to the two officers to take on the KRAK drug cartel, led by Mr. Big and his new concoction, liquid soul. Sneakers is a fun, comical adventure filled with cartoon combat. Players take on the role of a mouse named Apollo, who must lead his friends through a human-sized town to battle the enemy. Fights are ..